The Wall Street Journal endorses using DDT on its Editorial Opinion page (8/16/07) stating: "Opponents of DDT are only ensuring more misery and death." Great. We have been stating this for years. It is good to know that this respected publication has finally come around to agreeing with us. The African American Environmentalist Association believes that DDT (Dichloro-diphenyl-trichloroethane) insecticide should be used to prevent deaths from malaria in African countries. DDT is an organochlorine pesticide that has been used as an insecticide in agriculture and to combat insect vectors of diseases such as malaria and typhus. Because of its effectiveness at killing insects with few acute effects on humans, DDT had been a mainstay to fight malaria, a parasitic disease that is a growing health threat in Africa and other parts of the world. It is helping to lower the number of malaria deaths in Africa. DDT should also be used in India, Brazil and Mexico, where 69% of all reported cases of malaria occur (Mosq Control Assoc, 1998). Malaria afflicts hundreds of millions of people and causes millions of human deaths each year. Swiss scientist Paul Muller was awarded the 1948 Nobel Prize in Physiology or Medicine for discovering (1939) DDT's insecticidal properties. Mosquitoes are killed as a result of DDT. 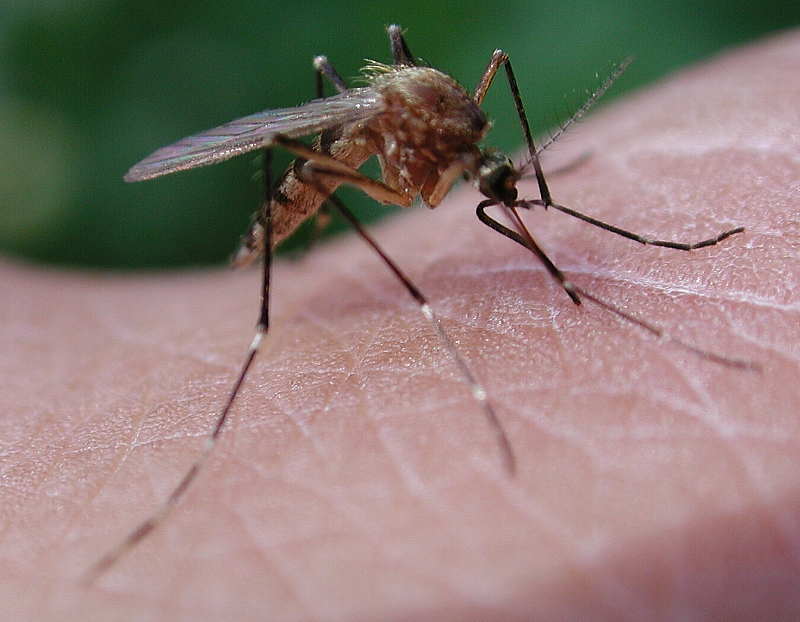 Malaria is transmitted to humans via mosquito bites. According to U.N. estimates, malaria kills one child every 30 seconds and more than a million people each year. 3Billionandcounting promotes a documentary recently filmed on malaria, which advocates the use of DDT in a combination with other methods to help eradicate malaria in developing nations. Dr. Rutledge Taylor and his team have traveled the world in an effort to bring the problems of the fight against malaria to light and in so doing have discovered that misinformation about the effects of DDT have led to millions of lives being lost and continues to do so daily. The documentary The Malaria Project will be released to theaters in 2006. Rachel Carson initiated the movement against the use of DDT in her 1962 book Silent Spring. Of course, by then, DDT had largely eliminated malaria in the United States. One of the believed effects of DDT is softening the shells of raptors and other egg laying species. It is thought that the birds are compromised by eating DDT poisoned insects. A ban on DDT, combined with passage of the Endangered Species Act, is thought to have restored raptor populations, particularly eagles. Some researchers dispute this contention. Regardless, DDT was banned in 1972 by the Environmental Protection Agency under Administrator William (Bill) Ruckelshaus. It is still used in some countries. Traditional environmental groups are calling for a global ban on (DDT) production and use. Although 120 countries adopted a treaty to phase out persistent organic pollutants (POPs) (includes DDT) in 2000, the treaty (United Nations' Stockholm Convention on Persistent Organic Pollutants) allows for limited use for control of malaria. About 25 countries including South Africa still use DDT. Malaria is a continued concern in these areas. The Malaria Foundation International seems to have some good ideas about (DDT.) They participated in a campaign to prevent a ban on DDT for malaria control. AAEA believes that DDT should be used in African countries as it was in the United States for decades until malaria is eradicated, because malaria deaths in Africa are still a strong concern. Then, use should be limited. Although other groups charge that DDE (from breakdown of DDT) is found in mothers milk, such effects are not comparable to the deadly effects of malaria. Experts must find a way to eliminate malaria. DDT is the best way to eliminate the parasite. Kill the insect. Stop the parasite carried by the insect. Then reduce or eliminate use of DDT. During the approximately 30 years that DDT was used in the U.S., almost 700,000 tons were sprayed onto cotton and other crops. The peak year was 1958, when nearly 80 million pounds of DDT was sprayed onto American farmlands. DDT is a pesticide used to control insects that carry diseases such as malaria. DDT is a white, crystalline solid with no odor or taste. Numerous studies indicate that DDT is not a carcinogenic hazard to humans. However, EPA lists DDT as a 'probable human carcinogen.' The effects of DDT on the nervous system only occur if swallowed in large amounts. Studies conclude that there are no serious effects in people under normal use. According to ATSDR, there are no studies on the health effects of children exposed to DDT. There is no evidence that the pesticide causes birth defects in people. The Congress of Racial Equality (CORE) held a conference in New York in January 2004 to address this issue, among others. The conference, titled, 'Eco-Imperialism: The Global Green Movement's War On The Developing World's Poor.' CORE supports the use of DDT in African countries to lower the number of malaria cases in Africa. CORE spokesmen Cyril Boynes and Niger Innis described how the traditional environmental movement is imposing the views of mostly wealthy, Americans and Europeans on mostly poor Africans. Paul Driessen, author of Eco-Imperialism: Green Power, Black Death, described how traditional environmental groups are "preventing needy nations from using the very technologies that developed countries employed to become rich, comfortable and free of disease." Patrick Moore, founder of Greenpeace and Greenspirit also supports these views. Conference moderator Deroy Murdock eloquently described how traditional environmental groups perpetuate poverty and misery in developing countries through 'eco-centric' policies. Fiona "Fifi" Kobusingye from Kampala, Uganda described her personal battles with malaria and the suffering and deaths it has caused in her extended family. Roy Innis also attended the conference. In 2000, say World Health Organization and other studies, malaria infected over 300 million people. It killed nearly 2,000,000--most of them in sub-Saharan Africa. Over half of the victims are children, who die at the rate of two per minute or 3,000 per day. Since 1972, over 50 million people have died from this dreaded disease. Where DDT is used, malaria deaths plummet. Where it is not used, they skyrocket. For example, in South Africa, the most developed nation on the continent, the incidence of malaria had been kept very low (below 10,000 cases annually) by the careful use of DDT. But in 1996 environmentalist pressure convinced program directors to cease using DDT. Malaria cases began to soar. One of the worst epidemics in the country's history ensued, with almost 6,200 cases in 2000. Shortly after this peak, South Africa reintroduced DDT. In one year, malaria cases plummeted by 80 percent. Next door, in Mozambique, which doesn't use DDT, malaria rates remain stratospheric. Similar experiences have been recorded in Zambia and other African countries. No other chemical comes close to DDT as an affordable, effective way to repel mosquitoes from homes, exterminate any that land on walls, and disorient any that are not killed or repelled, largely eliminating their urge to bite in homes that are treated once or twice a year with tiny amounts of this miracle insecticide. For impoverished countries, many of which are struggling to rebuild economies wracked by decades of disease and civil war, cost and effectiveness are critical considerations. For poor African countries, cost alone can be determinative. Not only do they need their limited funds for other public health priorities, like safe drinking water, but they also have minimal health and medical infrastructures. Every dollar spent trying to control malaria is a dollar that's unavailable for other public health needs. Substitute pesticides are rarely appropriate. While carbamates work well, they are four to six times more expensive than DDT and must be sprayed much more often. Organophosphates are dangerous and thus not appropriate in homes. And mosquitoes have built up a huge resistance to synthetic pyrethroids, because they are used so extensively in agriculture. DDT is not a panacea, nor a "super weapon" that can replace all others. Nor is it suitable in all situations. However, it is a vital weapon --often the "best available technology" -- in a war that must be fought against a number of mosquito species (vectors) and constantly changing malaria parasites, in different terrains and cultures, and under a wide variety of housing and other conditions. Recent study results sent to AAEA showing prenatal exposure to DDT causes neurodevelopmental delays. OBJECTIVE. We investigated the relationship between prenatal exposure to dichlorodiphenyltrichloroethane (DDT) and dichlorodiphenyldichloroethylene (DDE) and neurodevelopment of Mexican farm-workers' children in California. METHODS. Participants from the Center for the Health Assessment of Mothers and Children of Salinas study, a birth cohort study, included 360 singletons with maternal serum measures of p,p'-DDT, o,p'-DDT, and p,p'-DDE. Psychomotor development and mental development were assessed with the Bayley Scales of Infant Development at 6, 12, and 24 months. RESULTS. We found a 2-point decrease in Psychomotor Developmental Index scores with each 10-fold increase in p,p'-DDT levels at 6 and 12 months (but not 24 months) and p,p'-DDE levels at 6 months only. We found no association with mental development at 6 months but a 2- to 3-point decrease in Mental Developmental Index scores for p,p'-DDT and o,p'-DDT at 12 and 24 months, corresponding to 7- to 10-point decreases across the exposure range. Even when mothers had substantial exposure, breastfeeding was usually associated positively with Bayley scale scores. CONCLUSIONS. Prenata l exposure to DDT, and to a lesser extent DDE, was associated with neurodevelopmental delays during early childhood, although breastfeeding was found to be beneficial even among women with high levels of exposure. Countries considering the use of DDT should weigh its benefit in eradicating malaria against the negative associations found in this first report on DDT and human neurodevelopment. Our response is that malaria is much more dangerous to African children thatn any possible developmental delays due to overexposure.